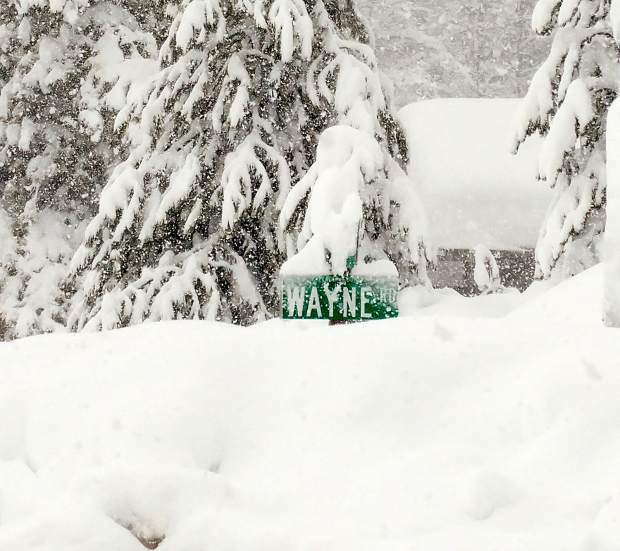 The sign for Wayne Road in the upper reaches of Olympic Valley is barely seen Wednesday afternoon, one of thousands of images shared this week at Lake Tahoe-Truckee that indicate the extreme levels of snowfall. 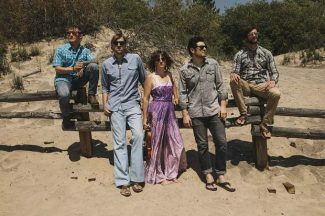 “Tahoe Top Five” is a new feature from the Sierra Sun. 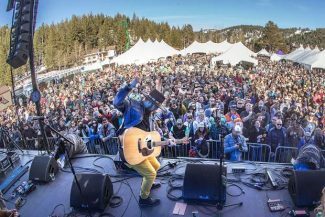 Each Friday, we will feature a weekly list that will span topics such as dining, entertainment, outdoor recreation, health & wellness and more, all focused on the unique nature of the Tahoe-Truckee lifestyle. Have an idea for a future Tahoe Top Five? 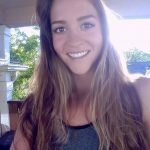 Email Reporter Cassandra Walker at cwalker@sierrasun.com. TAHOE-TRUCKEE, Calif. — Recent storms dumping 10-plus feet of snow this week across the greater Tahoe-Truckee region has everyone itching to get to the mountains. With Martin Luther King Jr. 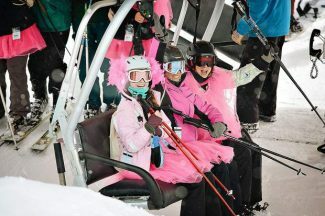 Weekend an annual big holiday skiing weekend for the region, experts are reminding local and visiting skiers and riders to take care of themselves and others out there; safety’s always first. Laine recommends packing a shovel while skiing in-bounds to be prepared to help dig someone else out. 1. Ski in pairs! Always ski with a partner; if your buddies are busy and you plan to head to Squaw Valley Alpine Meadows, simply download the resort’s app and create a group to ski and ride with. 2. Homewood Mountain Resort Ski Patrol reminds everyone to observe all signs and warnings, keep off closed trails and out of closed areas — remember, Ski Patrol closes them for a reason. 3. Diamond Peak and Mt. Rose Ski Tahoe are two of several resorts that encourage guests, especially little-ones, to wear a helmet. 4. Tahoe Donner recognizes the Golden Rule as major mountain etiquette, teaching that respect earns respect and keeps the mountain positive and fun. 5. No matter what resort you ski or ride, anyone planning to get to the hill should take the initiative to familiarize themselves with the Responsibility Code — a set of guidelines to which skiers and riders across the board should adhere.